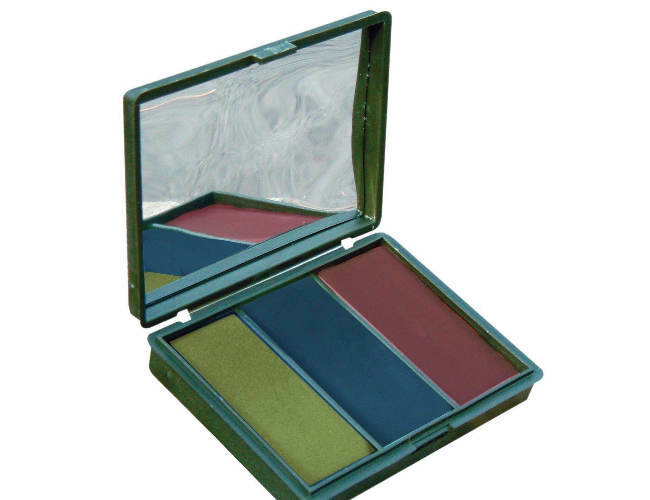 Camo compact in a strong ABS plastic compact, with durable mirror. 3 colour face camouflage compact is from B.C.B. B.C.B. are the current suppliers of camouflage face paint made to the British M.o.D .